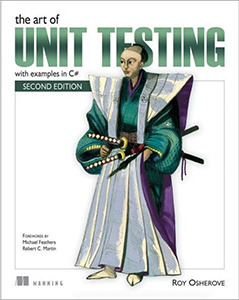 The Art of Unit Testing, Second Edition guides you step by step from writing your first simple tests to developing robust test sets that are maintainable, readable, and trustworthy. You’ll master the foundational ideas and quickly move to high-value subjects like mocks, stubs, and isolation, including frameworks such as Moq, FakeItEasy, and Typemock Isolator. You’ll explore test patterns and organization, working with legacy code, and even “untestable” code. Along the way, you’ll learn about integration testing and techniques and tools for testing databases and other technologies. You know you should be unit testing, so why aren’t you doing it? If you’re new to unit testing, if you find unit testing tedious, or if you’re just not getting enough payoff for the effort you put into it, keep reading. The Art of Unit Testing, Second Edition guides you step by step from writing your first simple unit tests to building complete test sets that are maintainable, readable, and trustworthy. You’ll move quickly to more complicated subjects like mocks and stubs, while learning to use isolation (mocking) frameworks like Moq, FakeItEasy, and Typemock Isolator. You’ll explore test patterns and organization, refactor code applications, and learn how to test “untestable” code. Along the way, you’ll learn about integration testing and techniques for testing with databases. The examples in the book use C#, but will benefit anyone using a statically typed language such as Java or C++.